Oma loves to hike! What better way to get fresh air and exercise while keeping it interesting. 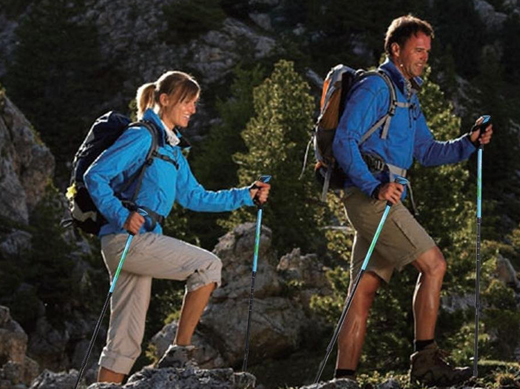 Did you know that hiking poles reduce the impact of hiking on knee joints and leg muscles? However the main reason I hike with poles is to deflect backcountry nuisances. The poles can push away thorny bushes and swipe away spider webs that cross trails. More importantly they offer a barrier for the occasional stray dog or rattlesnake! The Anti Shock and Retractable Hiking Poles are sturdily crafted out of high quality 7075 Aluminum. They feature an anti-shock spring mechanism reduces strains on hands and wrist. I love that they are extendable and ultralight; simply twist and lock! The grips are very comfortable and the wrist straps are adjustable and useful. I keep my Anti Shock and Retractable Hiking Poles in the trunk of my car for that unexpected opportunity to hike. Don't let the ever-changing up and downhill terrain hold you back. This Ohuhu® Anti Shock & Retractable Trekking Poles will reduce stress on joints, improve balance and add power on uphill hikes. Crafted with high quality 7075 Aluminum, which is more durable and stronger than normal aluminum products, the better material choose provide users a more reliable choice. 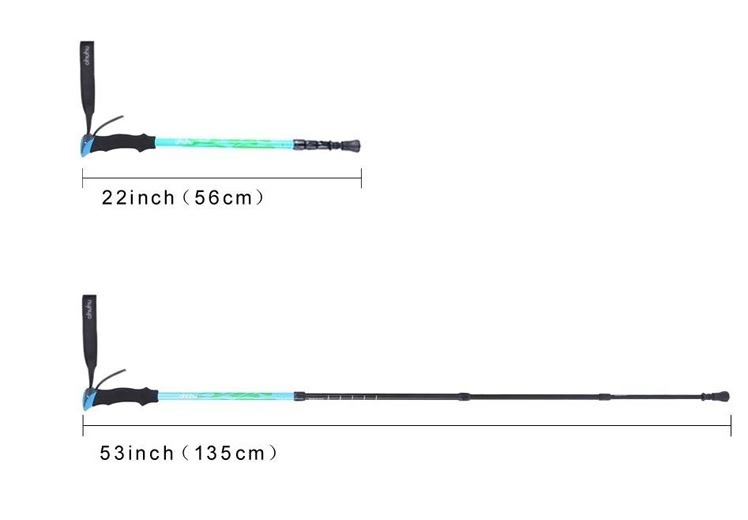 Extendable & ultralight: Pole weights 0.51lbs / 8.18oz. 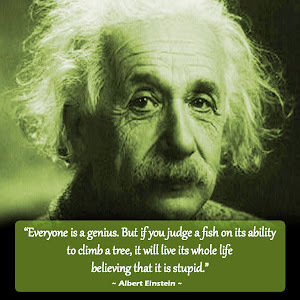 Each Pole can be expanded between 22 to 56 inch, which is much easier to pack. 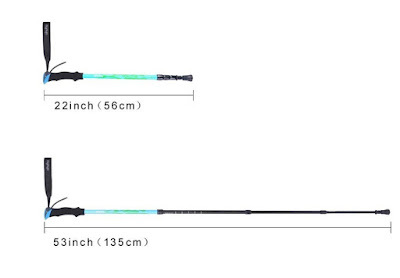 Ultralight poles offer the advantage of less swing weight, which makes them easier and quicker to move. Over the course of a long hike this means less fatigue. 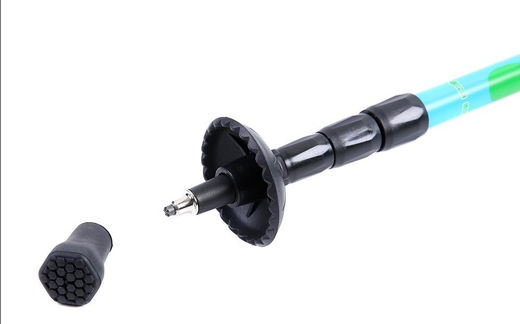 The tungsten steel pole head, pole head cover and mug resistance base help users deal with different road conditions and requirements.